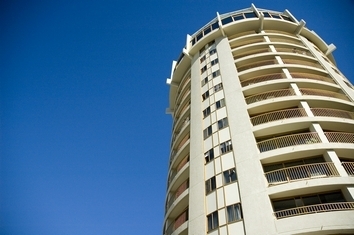 The Atlantic Tower is situated within 2 minutes from the beach and the Jetty Road shopping precint plus the new Marina. 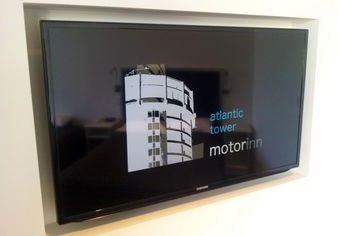 The Atlantic Tower is a 3.5 star motel with 38 rooms of which 28 are located on the 9th, 10th and 11th floor. The spectacular panoramic views are unsurpassed. On the 12th floor is Adelaide's only Revolving Restaurant, the Top of the World. Our friendly reception staff will make the time to assist you and ensure your stay at 'The Bay' is all you expected and more. We can offer you advice on how to spend your time and what are the 'must sees' to ensure you get the most out of your visit to Adelaide. 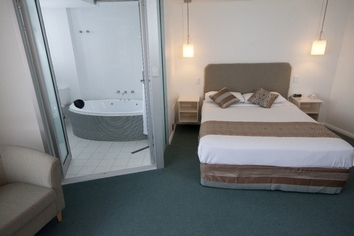 1st floor room in high-rise Glenelg Motel. Wireless broadband available, FREE on-site parking, FREE continental breakfast in 10th floor dining room and FREE Foxtel including Movies and Fox Sports I, II, & III. BRAND NEW, Created from the ground up in 2011. 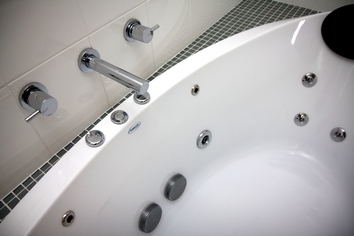 10th floor room with 2 person oval spa & private balcony. 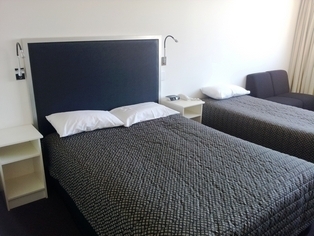 LCD TV, DVD Player, Mood Lighting, FREE parking, FREE continental breakfast in breakfast room and FREE Foxtel channels including movies, sports and more. 9th-11th floor room with private balcony. 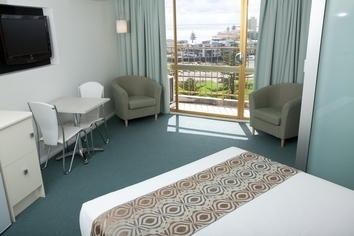 These rooms on our highest floors offer unbeatable views over the marina, city, hills and surrounds. 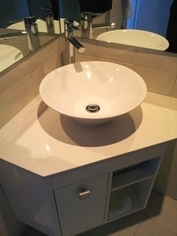 They are freshly presented with all modern fixtures and fittings. FREE on-site parking, FREE continental breakfast in dining room and FREE Foxtel channels including movies, sports and more. We offer wireless internet, as well as fax and photocoping service. Reception is open from 7.00am until 10.00pm. After hours check in may be arranged on request. Luggage storage is available in Reception. All of our pricing is based on 2 adults. Extra persons are $20 per night. Free off street car parking beside the motel. You enter this the car park at the pedestrian lights. Limited garaged carparks are available on request at an extra charge of $10 per night. By taxi it will take 10 minutes and will cost approx $10.00-$15.00. By hire car Turn left onto Sir Donald Bradman Drive then left onto Tapleys Hill Road at the 1st set of lights. At Brighton Road turn right into Anzac Highway - we are the large round tower on the left. From Princes Highway/ South Eastern Freeway - turn left at 1st set of lights, Cross Road and travel 8-9kms. Turn left into Anzac Highway.We are on your left about 3 kms further on. In the heart of Glenelg beach there is plenty to see and do. The Jetty Road precint is a shoppers paradise open 7 days per week. There is also a wide selection of exotic cuisine, ranging from the quick bite to fine dining that will tempt both business and holiday guests. Take a quick ride into the CBD on the historic Glenelg Tram and then return again to the fresh sea air. Once the sun goes down Jetty Road's bars and night clubs come alive. Visit the Bay Discovery Centre, a social history museum at the Glenelg Town Hall, and admission is Free. Inform our friendly reception staff about how you would like to spend your time and we can provide you with maps and personal service to assist you.